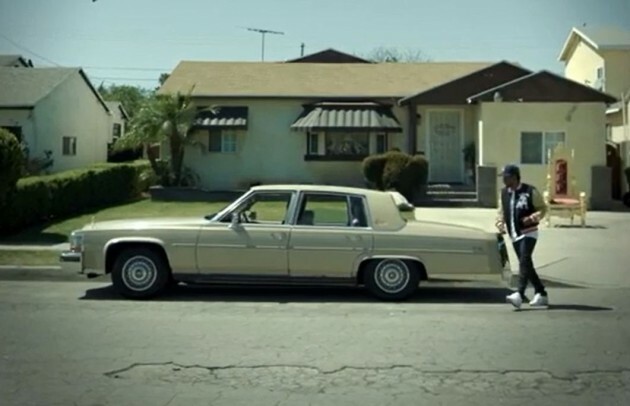 Kendrick shows his passion for Cadillac’s by featuring a 1990 Brougham in his “King Kunta” music video. Hip-hop artist Kendrick Lamar has never been one to hide his love for Cadillacs. In his new music video for “King Kunta,” the platinum-selling rapper can be seen driving around Compton, California, in a white 1990 Cadillac Brougham. The classic four-door sedan is featured throughout the visual as Lamar parties with his friends, dances on top of a building, and sits on a throne to symbolize his position as the current king of hip-hop. This is not the first time Lamar has featured a classic Cadillac is his music videos; he also featured the Brougham in the video for his previous single “i” and referenced Cadillac automobiles numerous times on his new album To Pimp a Butterfly. The Brougham got its name from British statesman Henry Brougham, who designed the car’s body style to be similar to a carriage without a horse. The 1990 Brougham featured a 5.0-liter V8 engine and a four-speed automatic transmission. Lamar said when he was young that his father had a customized Cadillac with Lamborghini style doors. That’s the car he learned to drive in. Despite his recent successes, life hasn’t always been so glamorous for the Compton native. On his first album, good Kid, m.A.A.d city, he raps about sensitive topics like trying to avoid the gang violence in his hometown and also speaks on his family’s history of alcohol abuse. But that all seems to be behind him, as he can probably use all that money from his record sales to buy an entire car lot of Cadillac’s.